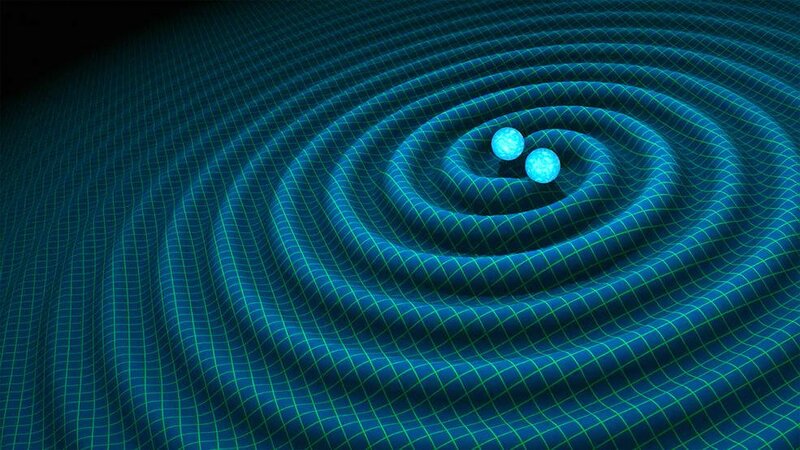 It’s all over the internet: Einstein was right – there are such things as gravitational waves. In a seemingly impossible experiment, a group of astrophysicists announced on Thursday, February 11, 2016 that they now had aural evidence of gravitational waves. An international mega-group of 1000 scientists published a report in Physical Review Letters confirming their findings. For those of you who might be asking, “What are gravitational waves?”, here’s a quick definition. They’re ripples in spacetime created by any particle or object with mass. Einstein predicted them in his theory of relativity in 1916. In a classic case of “if a tree falls in the woods, does it make a sound,” two black holes collided so impossibly far away – a billion light years – and only now is the Earth receiving the noise from that cataclysmic event. Two antennas designed for receiving any sound a gravitational wave would generate, located in Washington State and Louisiana, and part of LIGO (Laser Interferometer Gravitational-Wave Observatory), picked up a brief chirp on September 14, 2015. This event’s also a significant achievement for astronomy, where so much is dependent upon what can been seen. This experiment delivers another dimension from which to observe and measure the universe.